Let’s face it – even the most health-conscious of us need a fatty and salty or sweet, unhealthy snack once in a while, and popcorn is the least harmful where light meals go. It’s also incredibly versatile – you can make it light, sweet or salty with lots of butter and indulge in your guilty pleasure. Popcorn doesn’t only have to be for your personal consumption – why not give others the opportunity to enjoy it, and make them pay for this privilege? Plenty of people running street food stands does this. All you need is a commercial popcorn popper, which doesn’t cost much, and not only that – it will pay off very soon. The smell of popcorn attracts customers like nothing else, making their stomachs growl. There are lots of reasons to stop buying these packs. They contain stuff like artificial butter and palm oil, which is terrible for you, clogs up your arteries, causes high blood pressure, and can eventually kill you. Prepackaged popcorn was popular up until around 2000, and even after that. In the mid-2000s, a study showed that the fumes artificial butter makes might be dangerous. Further research linked lung diseases (including lung cancer) in factory workers to fake butter fumes. The good news? There are other ways to enjoy your favorite snack. Popcorn doesn’t require much to be excellent and delicious. Your best football game or comedy series friend has a kernel that has to explode to get the magnificent white stuff out. That’s all. An air popcorn popper is probably the healthiest option. Air popcorn poppers go back over four decades. At first, they had plenty of mechanical problems and would break after only a few uses. In the 90s, nutritionists found that obese people ate too many carbs, and the popularity of these machines declined. They have made a comeback since. The new models don’t burn out or heat up and are much more efficient. On the downside, air-popped popcorn is a bit dry. Perfect for the health-conscious, but not so much for the rest of us (ordinary women). If you want something delicious that will make your day, try a stovetop popcorn cooker. You need oil for this, which shouldn’t be a problem if good taste is your priority. The last option is a glass popcorn machine. The poppers don’t have any moving parts, which means they will never break or wear out; but they will shatter into thousands of little pieces if you drop them. 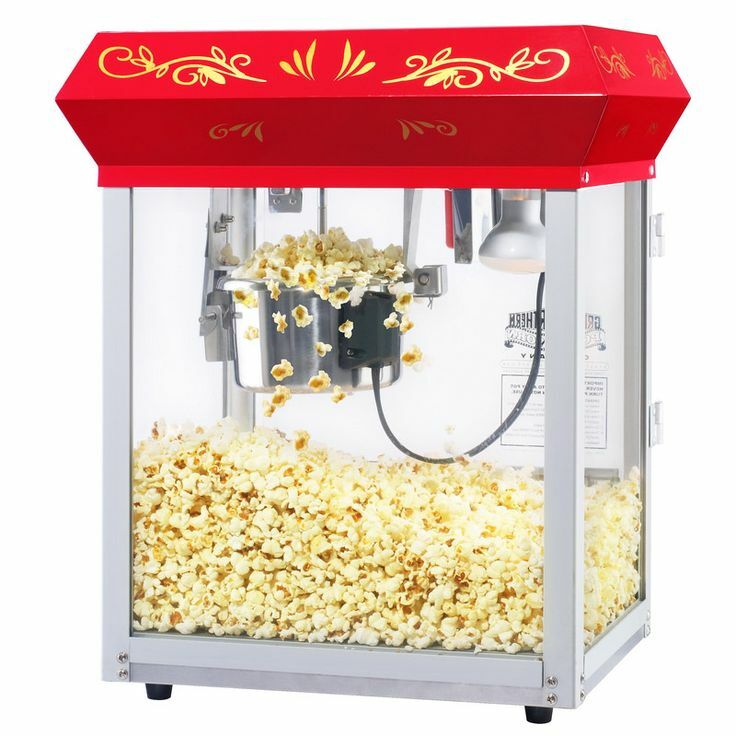 Glass popcorn machines are one of the most popular types of poppers today, with sales continually rising in the past decade. Popcorn made in a glass popper is also really healthy. Popcorn is not really my fav. Eat them sometimes when go for movie, but i would choose the less sweet one. love popcorn very much! !Especially is caramel popcorn! !